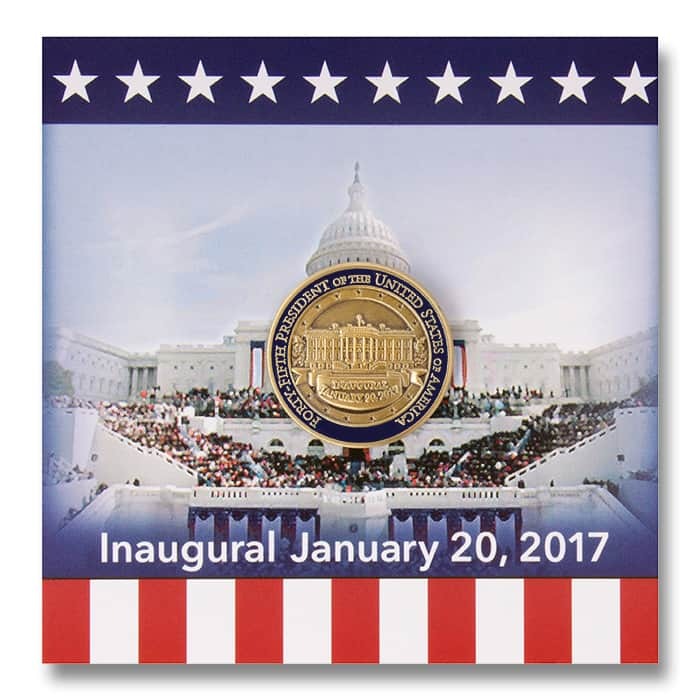 2017 Inaugural Lapel Pin – C. Forbes, Inc. This round, navy and gold lapel pin features an image of the south facade of the White House and the inauguration date of January 20, 2017. Text around the lapel pin edges denotes the inauguration of the forty-fifth president of the United States.